I wish to improve my skills for strengthening communications between stakeholders to achieve a balance between biodiversity conservation goals and livelihoods. My environmental background began during high school when I took part in environmental education projects and initiatives. 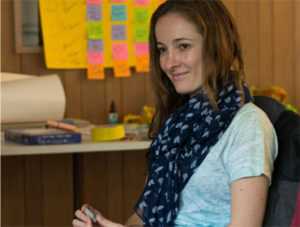 I did internships with a focus on waste and recycling. I also worked as an environmental monitor guiding visitors to Campeche Island, designated as a national heritage site due to its rupestrian art and natural beauty. 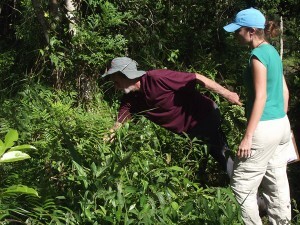 Afterwards, as a student of biology, I gained experience through various environmental projects. I worked in an art-education project focused on environmental issues with children surrounding a protected area, Carijós Ecologic Station. I also participated in a project providing feedback to the community on the results of ethnobotany studies. It included the production of printed material and organization of awareness events targeting the studied community and the general public. I lived in Amazonas for half a year helping a friend with her field research about medicinal plants in one ribeirinha community of the Manacapuru municipality. It was amazing to see the river rising and the adaptation by the community to cope with the environmental changes. After that, I started my own research projects in ethnobotany. The first one was an investigation about the use of medicinal plants in two communities in southern Brazil which followed a similar study. It was interesting to observe what had changed and what was maintained fourteen years later. My most recent research was about people and plants surrounding Acaraí State Park, located along the southern Brazilian coast. There are conflicts of interests between conserving nature and the use of plant resources by the community. The most evident of them is the harvesting of the fern, Rumohra adiantiformis. I currently live in Munich where I joined some activities at the Rachel Carson Center for Environment and Society. I also had the opportunity to be part of its editorial team in two of its RCC Perspectives’ issues, allowing me to learn more about the relationships between environment and humanities. 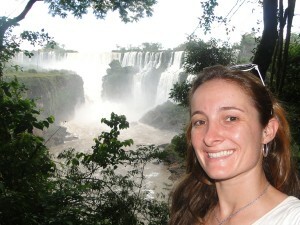 When I move back to Brazil, I want to continue down the environmental path, focusing on education and communications in an interdisciplinary way. 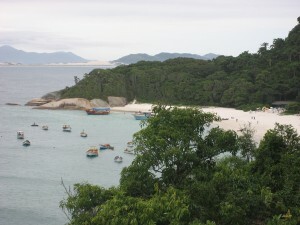 Campeche Island, Brazil, is a national heritage site visited by many tourists every year. Families of local fishermen usually also provide transport to visitors with their boats. 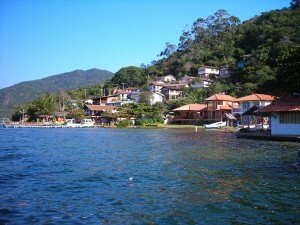 Costa da Lagoa is the most isolated community in Florianópolis, SC, Brazil; access is only by boat or by trail. People still use many plants as medicine there. 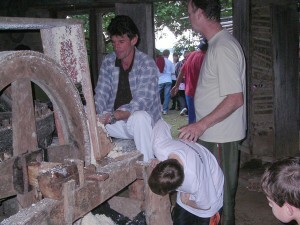 Inhabitants of Costa da Lagoa producing manioc flour in a traditional mill. The community holds a party every year to keep the memories of old traditions alive. 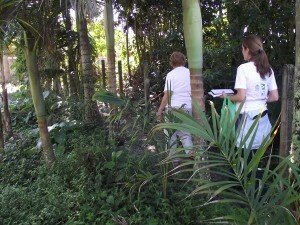 Guided tour in a research participant’s garden in São Francisco do Sul (SC, Brazil) to register the cultivated plant species. 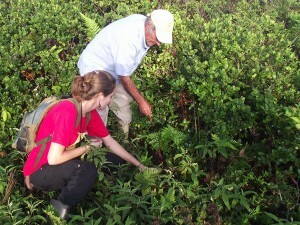 Learning from a collector about the leaves of the fern Rumohra adiantiformis and its harvesting in São Francisco do Sul (SC, Brazil). Field class about the extraction activity of Rumohra adiantiformis with a collector in São Francisco do Sul (SC, Brazil).